“Tribute” to the Canarian Potatoes with the strong suggestion - being on the Canary Islands do not deprive yourself from “pappas fiesta”. 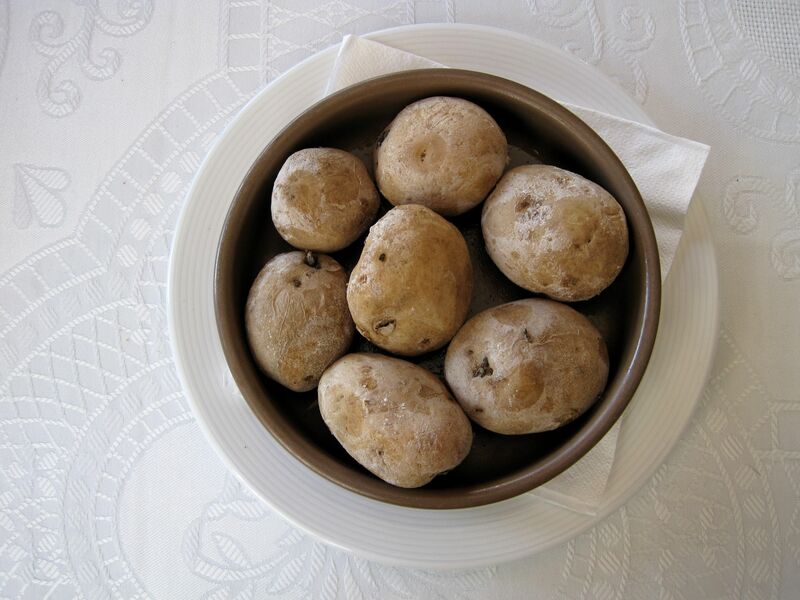 Canarian potatoes - fiesta in Tenerife. I know that reading about the food is by far not the same experience as sitting at the restaurant's table with the tasty food in front of you. Neither restaurants nor food pictures and photos can help, but still, I would like to share with you my experiences from Tenerife. Potatoes are a big part of the whole story. I have to admit one of my many weaknesses (hopefully no one will take advantage of my confession) – I am a potatoes lover, in any form, shape and any time of a day. I remember as a young boy setting fire in the field and waiting patiently till there was enough of hot ash. Then, an important moment was coming to carefully bring down the fire and bury the potatoes in this hot, still smoking dirt. Usually it took good several tens of minutes till I could remove – then darker, burned here and there, wrinkled skin but smelling with freshness of the early fall field and hot potatoes. Just a bit of butter, specks of salt and the most gourmet smelly snack was ready to taste. Well, these were the happy days, since then I had to adapt my potatoes-eating habits to “mass-cuisine” products of all kind of more or less flavorless but still pretending to be French fries “creations”. Then one day the Providence hand guided me to the Canary Islands, what I embraced with joy for many absolutely unrelated to potatoes reasons. One day, walking along the charming old Spanish-style streets in Laguna de Santa Cruz we decided to fulfill our long-lasting dream to “devour” tapas. We tried already tapas in few restaurants in Europe and America, but these supposed to be the first ones on the Spanish soil. As you can imagine, it should make it a very different story. BTW – Tapa in fact means “lid” as originally tapas were served on small plates on top of an afternoon aperitif, but then they genuinely evolved to a full size Tapas dishes. So soon on our table emerged as we expected multiple colorful and tasty looking goodies surprisingly accompanied “without prior notice” by a kind of murky looking bowl of wrinkled, salt covered sadly looking potatoes. Well, it couldn’t be more deceiving perception as shortly after first bite they became a real king of the “soiree”. Not that tapas were not standing up to their reputation – as the matter of fact they were delicious, but because of my long lost taste of these childhood-time field-baked potatoes. Frankly I “devoured” them with a childish enjoyment. I believe however that there are no words that can describe the intensity, depth or fullness of experienced taste sensations. 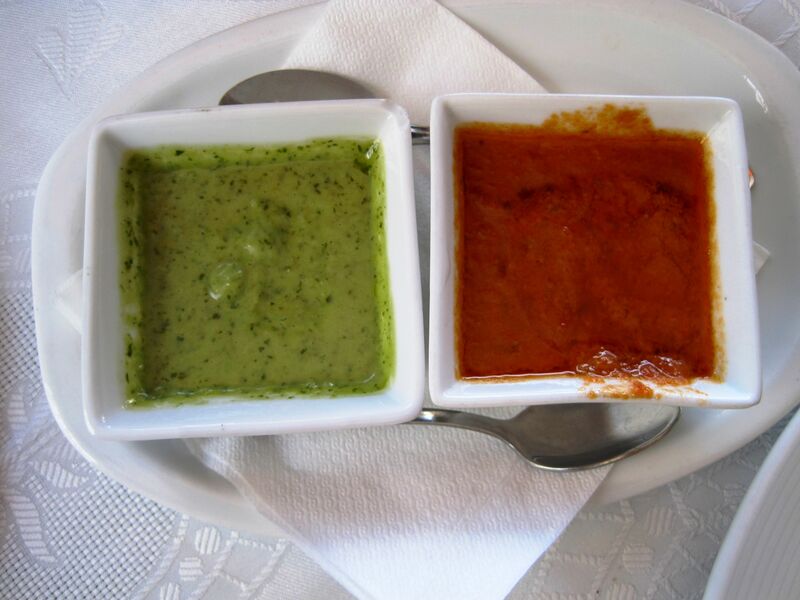 Being on Canary Islands do not deprive yourself from “pappas fiesta”. But for now, I hope you enjoyed this delicious virtual fiesta brought to you by Potatoes Restaurants in Tenerife and free pictures.